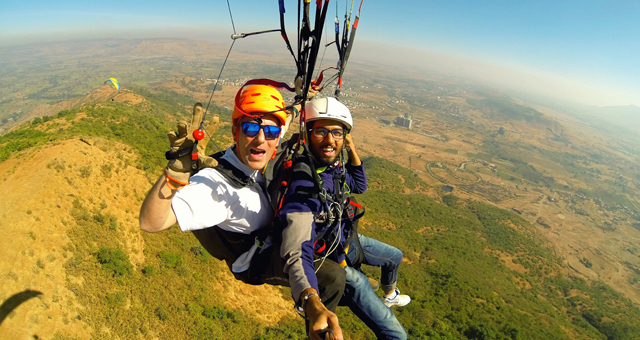 Joyrides, Paragliding Courses in India & Abroad - Temple Pilots. Tandem rides are available all days during the season (Oct to May). The flights are subject to weather conditions. We would like you to appreciate that Paragliding is a weather dependent sport and for us ‘ Safety comes First ‘. We have a 100% Safety Record in the past 17 years of our experience in Tandem Flying. A two-seater JOYRIDE with an experienced Pilot. 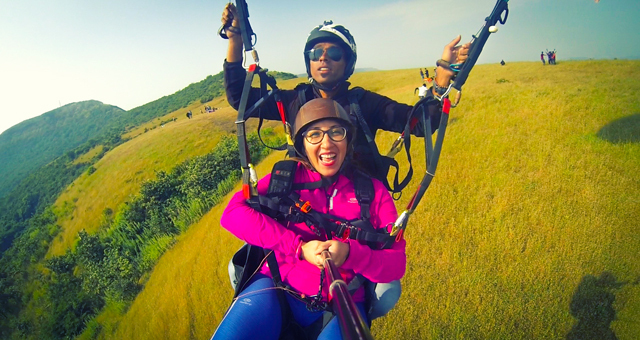 It is the most FUN and Easiest way to taste the exhilaration of Free Flight. The Instructor Tandem Pilot will show you how the controls work while flying. You will be given controls to experience how it is to fly all by yourself, but with the safety of the instructor flying with you. Taste the thrills and rush of adrenaline with high speeds and G-forces, in this one of its kind tandems. Our specialized Acro pilots will take you through acrobatic manoeuvre that are NOT for the faint-hearted. You need to wear a T-shirt, full pants(No saree/skirts), shoes (please avoid chappals) and a cap. You also need to carry sunscreen, glares, snacks and a water bottle and a Camera to take pictures! Please avoid flying immediately after taking food. Leave at least 1-2 hours gap. We recommend participants with a heart ailment and epilepsy to take medical advice before doing the activity of Paragliding. It is the perfect gift to give for a birthday or any special event….a ‘GIFT OF WINGS’. You can buy Tandem paragliding gift vouchers. Contact us for further details. 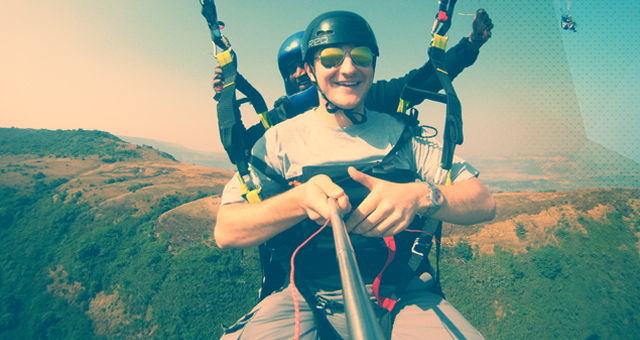 2 SEATER TANDEM JOYRIDE WITH TEMPLE PILOTS PARAGLIDING at Kamshet, Maharashtra.